Breakfast Wraps - Vegans Eat What? Vegans Eat What? 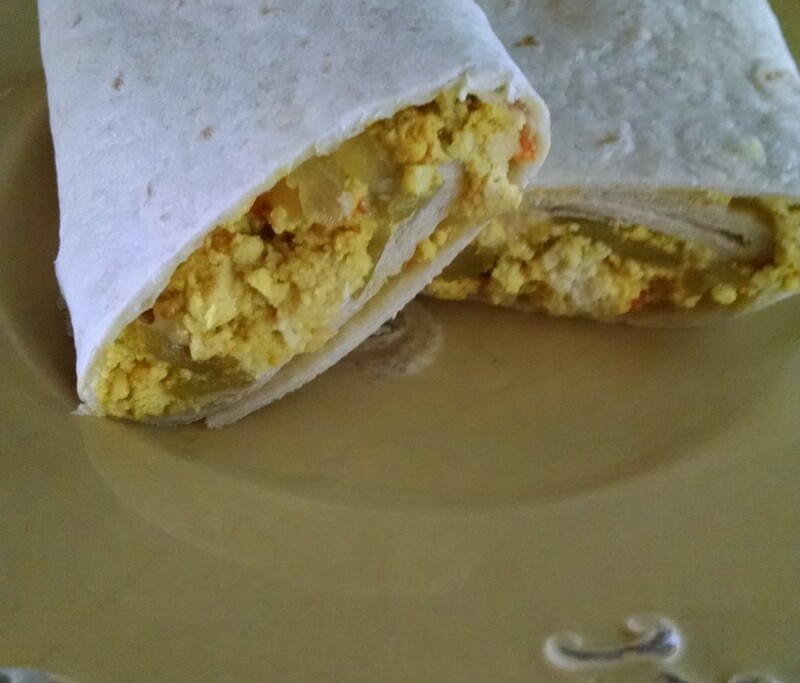 Whether you call it a "wrap" or a "burrito", this tasty vegan version is a great way to start any day! In a skillet sauté the onions, red pepper and garlic in the wine, water, broth or oil. Add the salt and continue to cook until the onions are tender. Remove the tofu from the package and rinse it under running water. Gently squeeze the tofu to remove excess moisture. Crumble the tofu into the skillet. Add the turmeric and cook over medium heat about 5 minutes. Add the cheese and nutritional yeast and stir to incorporate. Remove the skillet from the heat and allow the scramble to rest for 5 to 10 minutes. Spoon equal amounts of the scramble into the warm tortillas and fold over or roll up burrito style, depending on the size of the tortillas. Serve with a side of salsa or hot sauce if desired.